From November 26 to 30, Moscow hosted Russia's 8th youth research and practice school, New Knowledge in Ore Forming Processes. Arctic.ru presented a prize to a competition winner in a ceremony at the Institute of Geology of Ore Deposits, Petrography, Mineralogy and Geochemistry of the Russian Academy of Sciences (IGEM RAS). During the conference, young scientists from different regions of Russia and neighboring countries presented the results of their research in the field of Earth sciences. The event included a presentation of the arctic.ru project. 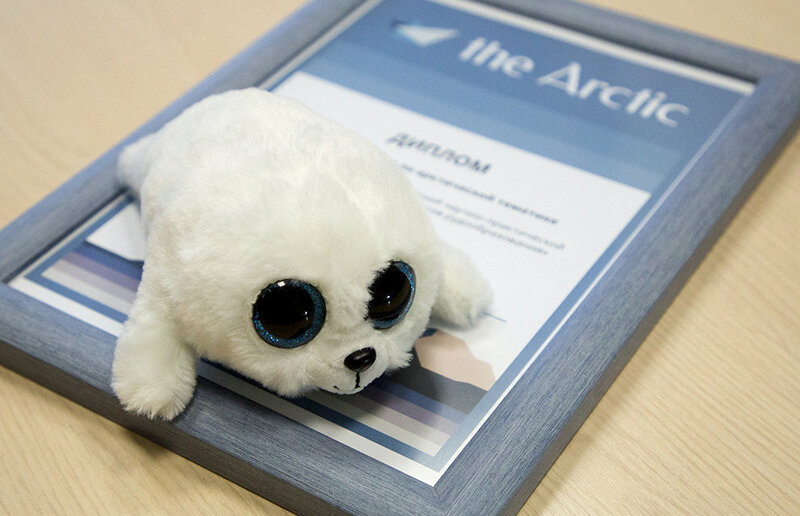 Arctic.ru also awarded a certificate and gift to Olga Kolesnik, a senior researcher at the Ilyichov Pacific Oceanological Institute of the Russian Academy of Sciences' Far Eastern Branch, for her work on the Arctic.